Use your army of crime lords to attack targets. This Deluxe Adult Darth Maul Costume will have you acting like the popular Star Wars character. He made his first appearance in Star Wars: Episode 1 The Phantom Menace. Newer fans of the franchise may know him better from the animated series, Star Wars: The Clone Wars. You receive a black hooded tunic and pair of pants with attached boot tops. There are sashes and a belt to wear over top. Complete the look with the latex mask featuring the facial features of the character. 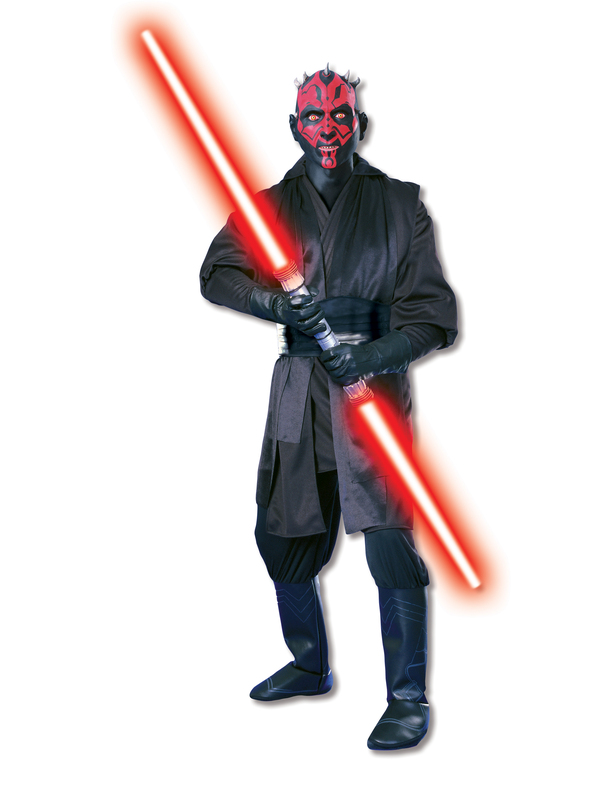 Play the part of Maul during Halloween parties, costumed conventions, and other fun events.